Col. McMahon has added a gallery of photos from the 2015 Capas Freedom March. Find it by clicking on the GALLERIES and then PHILIPPINE EVENTS ALBUM links above, or click here. Col. McMahon continues to update this gallery, but it is now available for your preview. Go to GALLERIES > PHILIPPINE EVENTS ALBUM and scroll to CAPAS FREEDOM MARCH 2017 or CLICK HERE to view. 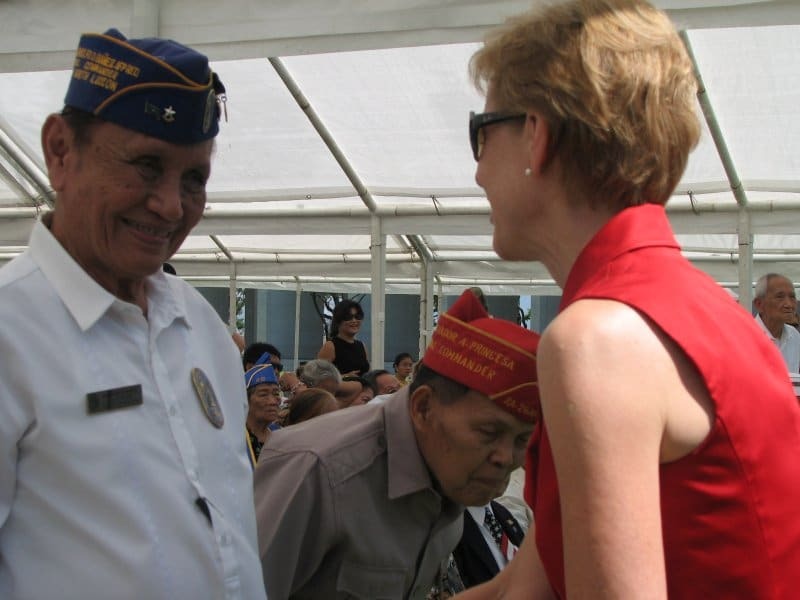 President McMahon is happy to announce that he has finished cataloging and uploading photos from Philippine Veterans Week 2017 at Capas National Shrine. You can find it in the GALLERY tab above, under Philippine Events Album. Or click here.